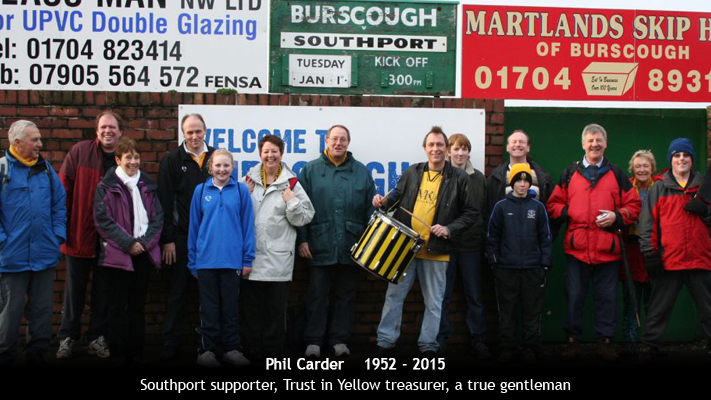 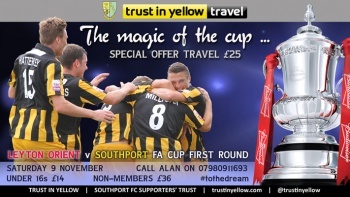 Southport will be looking to complete an FA Cup upset next Saturday when they travel to Leyton Orient - and Trust in Yellow is giving fans the chance to travel to the game for a special offer price. 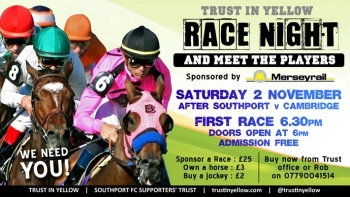 A huge thanks to Merseyrail for sponsoring our Race Night and Meet the Players. 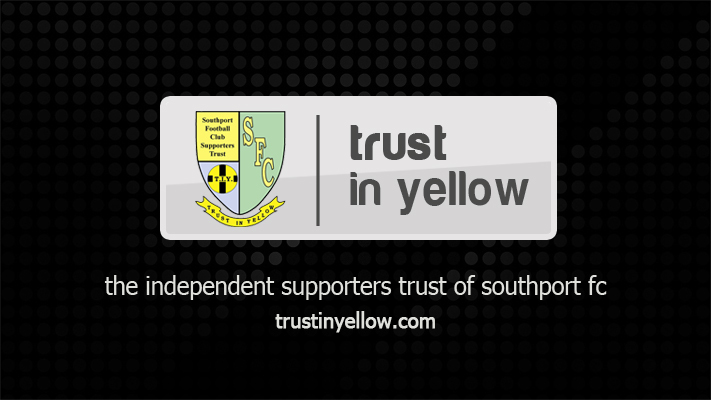 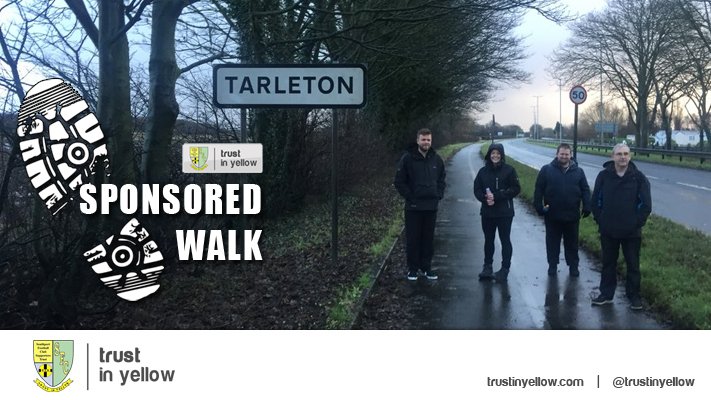 Now Trust in Yellow is calling on YOU to help make the event a success. 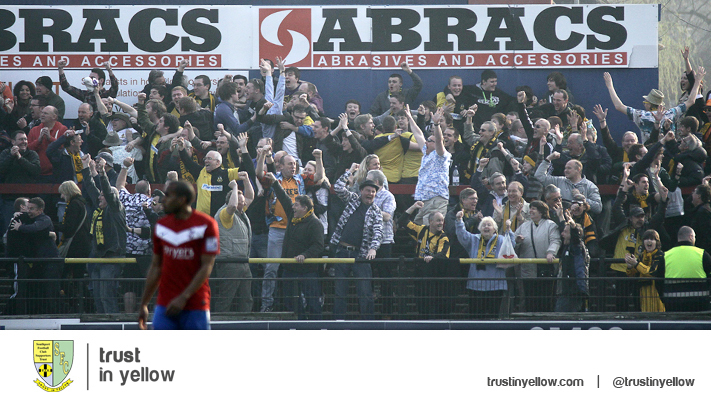 It all takes place in the Grandstand Bar after the match against Cambridge United on Saturday 2 November. 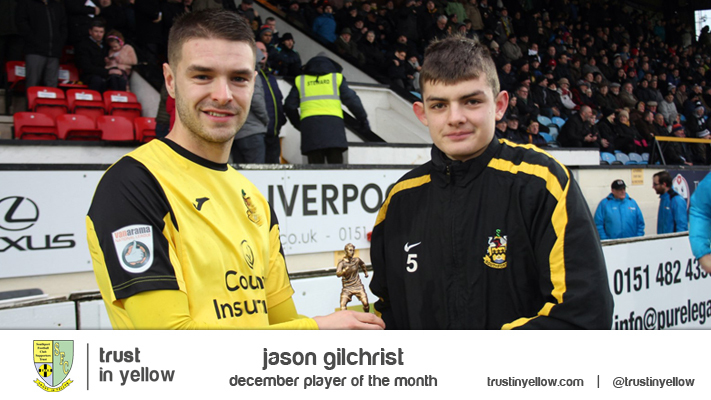 Goalkeeper Danny Hurst has been voted the Trust in Yellow Supporters’ Player of the Month for August / September. 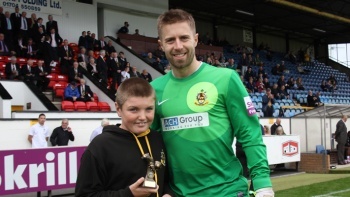 Hurst, who joined the Sandgrounders in the summer from Barrow, has enjoyed an excellent start to the season and has been a model of consistency. 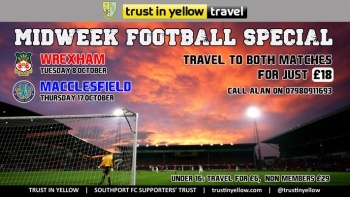 A reminder that Trust in Yellow members can travel to the games at Wrexham this Tuesday and Macclesfield Town next Thursday (17 October) for a special offer price of £18.